Naturasil for Molluscum Contagiosum is proven to eliminate all strains of Molluscum Congatiosum, a member of the Pox Virus family, using exclusive anti-viral plant extracts. 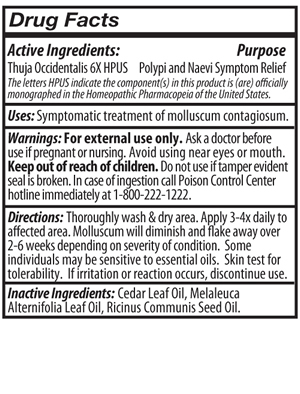 After spending years of research on homeopathic treatments for Molluscum Contagiosum, we have developed an exclusive formula not found in any other product. The effectiveness of plant extracts are well known, as they are used in 75% of all traditional pharmaceuticals world-wide. 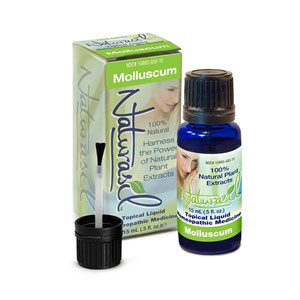 Naturasil for Molluscum Contagiosum effectively treats Molluscum infections without the pain and scarring often found in many other Molluscum Contagiosum treatments. Wash affected area and dry thorougly. Apply product 2-3 times per day to the affected area until the infection is gone.